Bon Scrapatit Designs: *FLORAL FRENZY* SCRAPATIT #2 FOR YOUR SCRAPPING PLEASURE AND A FAVOR!!! *FLORAL FRENZY* SCRAPATIT #2 FOR YOUR SCRAPPING PLEASURE AND A FAVOR!!! I am going to try and make this a VERY short post tonight as I've been working hard on your freebie for tonight and I need to help Luke make a Valentine's card for his girlfriend!!! Oh YES - tomorrow is the BIG day ALL around the world for us to LOVE, LOVE, LOVE (sung with my poor imitation of the beloved Beatle's!). 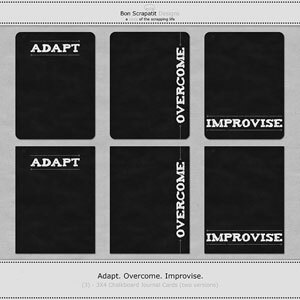 I hope that you will enjoy Scrapatit #2 as I made it to flow fairly well with Scrapatit #1 for a two-page spread if you wish to do so. Of course, it will stand well on it's own!!! Sorry - I'm getting giddy as I always do when I'm overly tired!!! Y'all can relate to that, right??? Okay, now for a BIG favor from y'all. I promise this won't hurt, however, if we don't help (and only if we are able to), one of our BIGGEST sources of DIGITAL-SCRAPBOOKING FREEBIES is going to fall by the wayside and I just KNOW that y'all would not EVER wish to see that happen. This would HURT all of us ... BIG TIME! 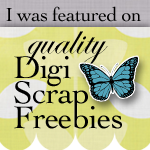 My DEAREST friend, Vicky, who along with her supportive husband, owns and operates the DIGI SCRAP DEPOT!!! Y'all know who I am talkin' about now don't you??? GOSH, if not for Vicky, I would not have met SO many of you who visit my blog on a regular basis. I would not have had the opportunity to snag some REALLY cool freebies from some REALLY awesome designers, not to mention the ability to go over and post my freebies for y'all to find as well as those new to digi-scrapping!!! Nicole has posted a DONATION button (one for USD and one for EURO) on the Digi Scap Depot's blog where you can make whatever donation you are able to via Pay Pal. I've already made my donation today and I am also going to make a little special something to contribute for Vicky to give out to those who are able to help as a way of saying "THANK YOU" to y'all for your continued support of a ROCKIN' site!!! From the depths of my being, in advance, THANK YOU ALL for helping this MOST important source to stay ALIVE! A little extra note on this. Having worked as an Administrative Assistant for 3Scrapateers for two years before becoming a designer, I know just how much strain is put on a server when the volume of visitors increases. We have had to update/upgrade to a larger server several times since inception. DSD needs a much larger server that can handle the traffic that is coming through EACH and EVERY day 24/7 all around the world!!! A larger server will cost Vicky and DH a lot more money and they just are not able to carry it all by themselves. Let's show them just HOW much we LOVE them and ALL that they have and continue to contribute to helping us ALL preserve our MOST precious memories!!! THANKS Y'ALL .... you ROCK .... and then SOME!